What’s that one thing that you just need to happen? ….and if it happens…all the doors will just swing wide open! How long have you been waiting for this one thing? All of us tend to have that thing, that excuse…that reason…why we can’t do something great…something risky…something we’re passionate about…something that will make us better than we are today. Because if this one thing falls into place, the risk is reduced and any failure would be a little less embarrassing…and definitely not as painful. Are you in the waiting room of your success? If so, I’ve got some great perspective from a well-known doctor. or the snow to snow or waiting around for a Yes or a No or waiting for their hair to grow. 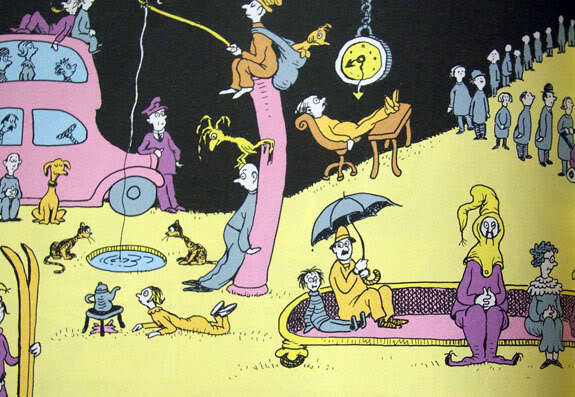 Isn’t it thrilling how valid Dr. Seuss’ wisdom was in the books we read as children? Somehow he knew that most of us would get caught waiting! “NO! That’s not for you! We can’t afford for you to wait. WE all win when you take action, take a risk and do great work.